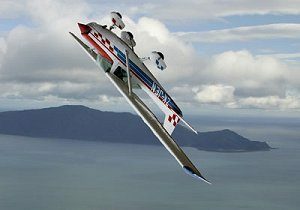 Kapiti Aero Club offers students full training towards achievement of an Aerobatic Flight Rating. The Aerobatic Rating course consists of a series of theory modules, which are completed in conjunction with flight instruction. Each student undertakes flight instruction in aerobatic manoeuvres and their various combinations. Following satisfactory training performance the student shall complete a flight check. Upon successful demonstration, the student shall be issued with an aerobatic rating with a logbook entry recording the issue. The student may also apply to the CAA to have the rating on their pilot licence. * This breakdown is a guideline only. Costs reflect club member rates and are GST inclusive. 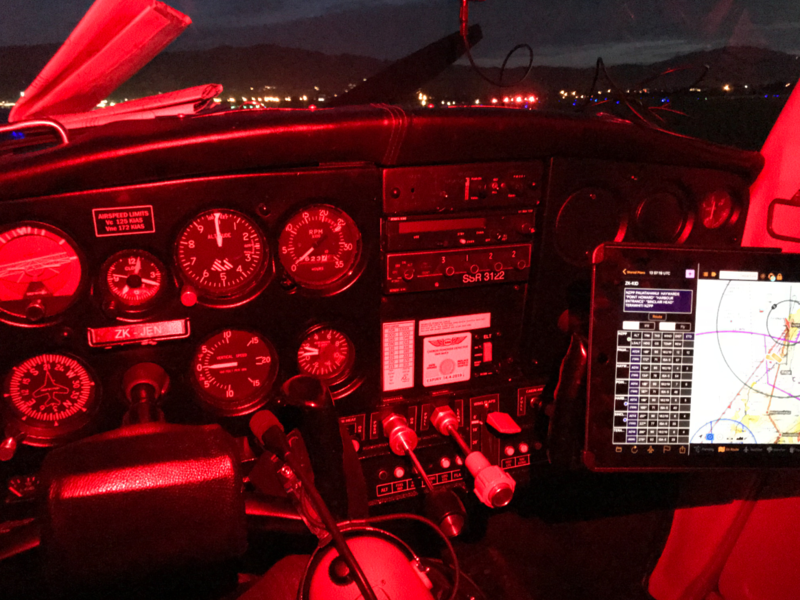 The Night VFR Rating allows you to fly by night in visual meteorological conditions (VMC). This can be quite a handy addition to your licence should you be delayed by weather or for any other reason. Students must have at least 2 hours instrument flight time in aeroplanes before undertaking night flight training. 5 hours training is required, which is to include 2 hours of dual flight instruction and 2 hours of solo flight. If you’re interested in a night rating, give us a call to discuss with one of our instructors. 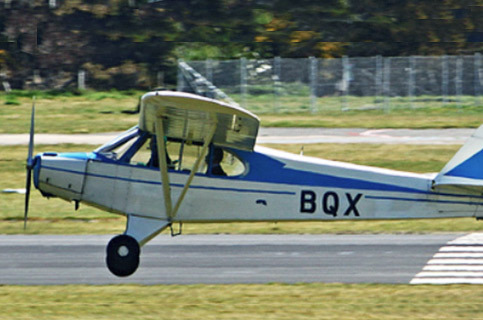 Kapiti Aero Club offers tailwheel training and ratings using a Piper PA-18 Cub. The tailwheel rating consists of a minimum of 5 hours training, both dual and solo. Involved in the training is a comprehensive pre-flight of the aircraft, which highlights the major differences to the aircraft you have previously flown along with a thorough briefing on the different handling characteristics of this type of aircraft, in particular when taking off and landing. When it comes time to take to the skies, we start with a flight to the North of the field for general handling exercises, including stall recognition and recovery before returning to the airfield for circuits, takeoffs and landings (3-pointers initially then wheelers). You will also have comprehensive training regarding crosswind takeoffs and landings as well as sideslip approaches. As your competence and confidence increase we gently stretch the boundaries until you have all the basic skills to fly a tailwheel aircraft safely. This is probably the epitome of ‘stick and rudder’ flying. Kapiti Aero Club offers full training towards attaining a single engine technically enhanced instrument rating. An Instrument Rating is a qualification that a pilot must hold in order to fly under IFR (instrument flight rules). It requires additional training and instruction beyond what is required for a Private or Commercial Pilot Licence, including rules and procedures specific to instrument flying, additional instruction in meteorology and more intensive training in flying solely by reference to instruments. With an instrument rating a pilot is not limited to VFR (visual flight rules) conditions but can fly through and above cloud given the need. It is also a requirement for all pilots who wish to fly for an airline as a career. Using our modern Cessna 172S which is equipped with the G1000 technically enhanced cockpit we offer students the ability to utilize cutting edge navigation technology to complete their training towards a NZ instrument rating with VOR/GPS endorsements. For further details on meeting the requirements for a NZ CAA Instrument Rating download CAA form AC61-17. If you would like to talk to an IFR Instructor then give us a call on 04 902 6536. “If you are interested in taking a first step towards gaining your instrument rating, Kapiti Aero Club offers an ‘IFR Intro Flight Experience’. This flight will have you at the controls of one of our C172′s with a qualified Flight Instructor as you navigate the skies under Instrument Flight Rules between Paraparaumu through to Palmerston North and back (average 1.7 hour flight). 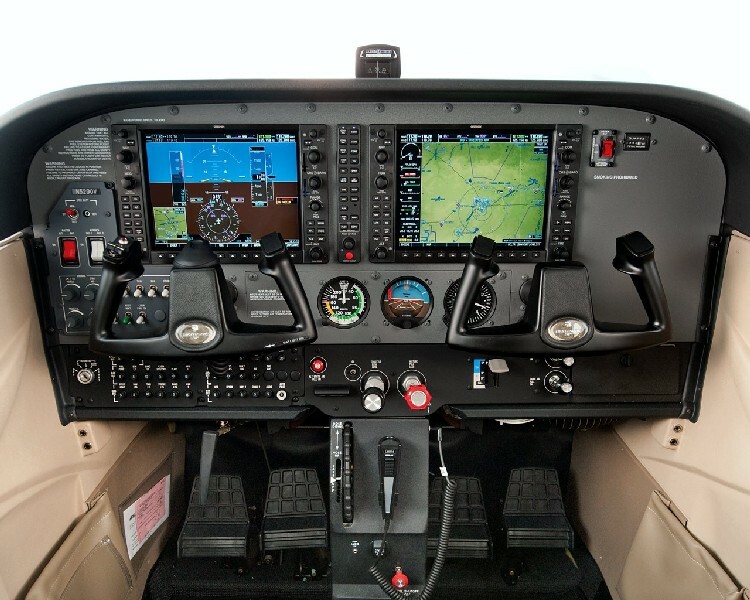 With this package you’ll also spend one hour with your instructor as he guides you through the use of our G1000 simulator. Hours gained from this 1/2 day experience can be logged towards your hour requirements for an Instrument Rating. Package includes all Airways/Landing Fees. Cost for this package is $599.00 inc. GST, saving you a total of approx $170.00. If you are ready to start working towards your ratings, give us a call on 04 902 6536 or visit our clubrooms where one of our staff will be more than happy to discuss your training in more detail.